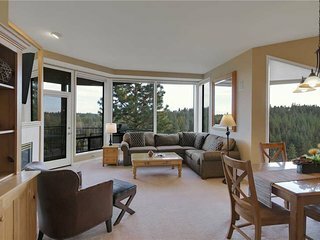 If you're craving a few days in a picturesque location that offers both urban excitement and rural adventures, consider booking an Oregon vacation rental for your next trip. Whether you prefer to stay in historic, culture-rich Portland or in a Cove Palisades State Park yurt, you won't have any trouble booking your ideal accommodations. 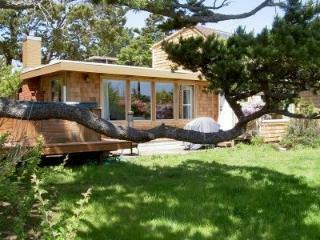 Portland offers an attractive Oregon vacation rental option. The city is full of quaint restaurants, upscale shopping centers, quirky entertainment venues, and friendly pubs and bars. Take a tour of the city's many distilleries or sample a new coffee house every day of your trip. It's also ideal for walking and cycling if you want to keep up with your exercise routine while you're traveling. Alternatively, consider booking a trip to Eugene, Oregon. It's known for plentiful farmers markets and bustling nightlife. Plus, you won't want to miss the breathtaking views from the top of Spencer Butte, which soars 2,055 feet above the city. Just remember to wear comfortable shoes so you don't get a blister as you traverse the rocky terrain. The attractions you should focus on during your Oregon adventure depend on your personal preferences and hobbies. 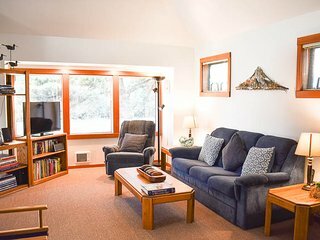 If you're a lover of nature or the great outdoors, consider reserving an Oregon vacation rental near Mount Hood or Crater Lake National Park. Both feature spectacular views of the surrounding terrain as well as abundant opportunities to view local flora and fauna and to work up a sweat. The Columbia River Gorge National Scenic Area is also a must-visit destination for outdoorsy types. Don't forget your camera. You'll want it when you're standing at the base of the majestic Multnomah Falls. For history buffs, the Willamette Heritage Center at The Mill in Salem, Oregon, offers the perfect destination. It's was built in the late 19th century and features old buildings, machinery, and other exhibits. If you're into arts and crafts, Eugene is home to the Jordan Schnitzer Museum of Art, which boasts an impressive collection of both Eastern and Western artwork. While other West Coast states might get more attention, Oregon offers numerous attractions, especially if you're charmed by scenic vistas. Even its largest cities are tame compared to metropolises like Los Angeles and San Francisco in California, so you'll enjoy a more relaxing, rejuvenating vacation. 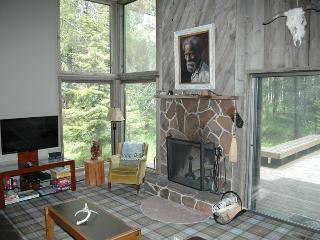 Plus, you have several options for vacation rentals throughout the state. Choose a beach rental if you enjoy waking up to the sound of the surf, or move farther inland to a cabin rental so you can fall asleep in peace and quiet. 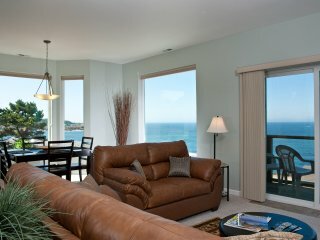 Of course, you can also look for apartment rentals in larger cities so you have more attractions within walking distance. 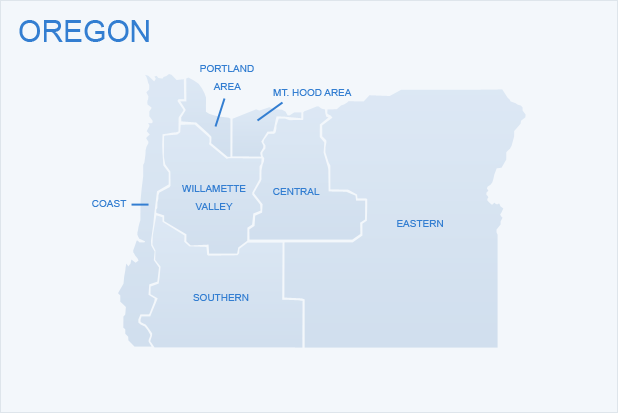 The variety makes Oregon a prime destination for all types of travelers. 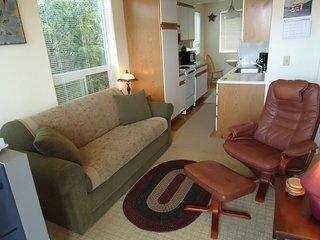 Whether you're heading out of town on business or for pleasure, consider reserving an Oregon vacation rental for your next trip. Search for the type of rental that appeals to you most, and start packing your bags right away.